Since coming back from our SE Asian adventure we have been obsessed with Asian cuisine. And despite having some of the best food in Thailand, for us Vietnam was the one. Our month in Vietnam was the highlight of the trip for us both, and the food played a big part in that. From street food tours in Hanoi to roadside pho stops on our motorbike trip, many of our favourite moments were marked with culinary adventures. 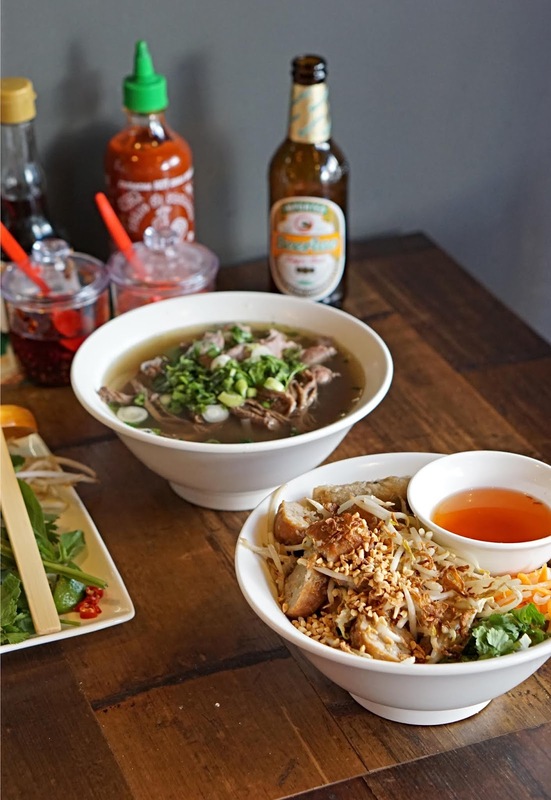 Fast forward two years and we have been blessed with a Pho opening just down the road from Farnham, in Guildford. Praise be! (Shout out to all the other Handmade Tale obsessives out there). 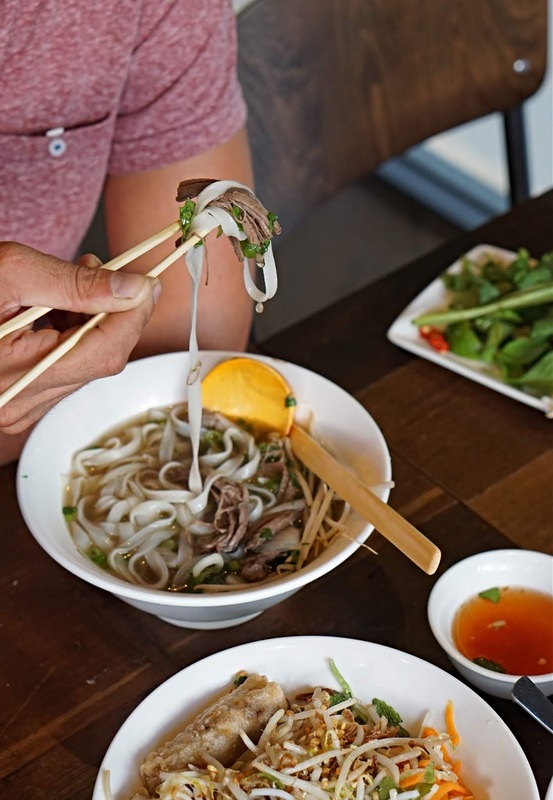 I already know that this will be a firm go-to for us - even in this hot weather, Pho works. Who would have thought that a hot broth would be so satisfying in 40-something degree heat (Hanoi), or even twenty-something degree heat (Surrey) for that matter! 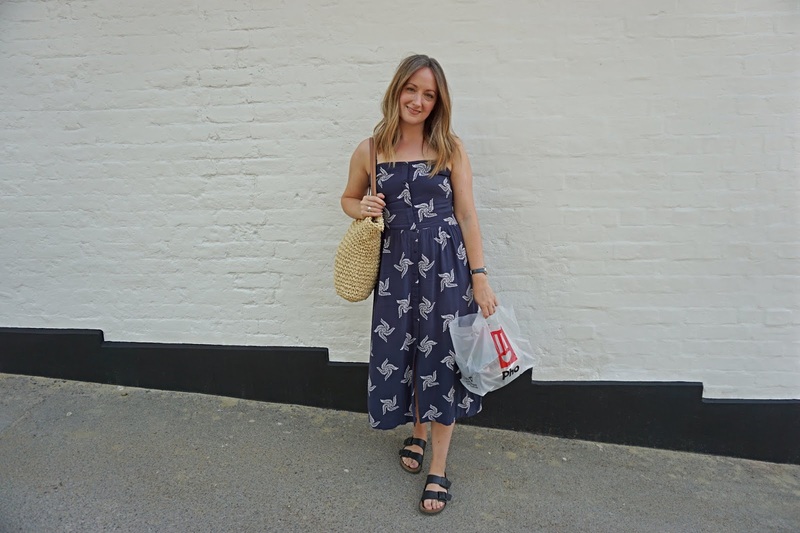 So, to Guildford we went. And feast we did. To start we went for one of our newly discovered favourites; bò nướng lá lốt. These little parcels are heaven sent; grilled beef wrapped in betel leaves which we wrapped in lettuce with vermicelli noodles, fresh herbs and nước chấm - a sweet dipping sauce. This bought back so many memories! 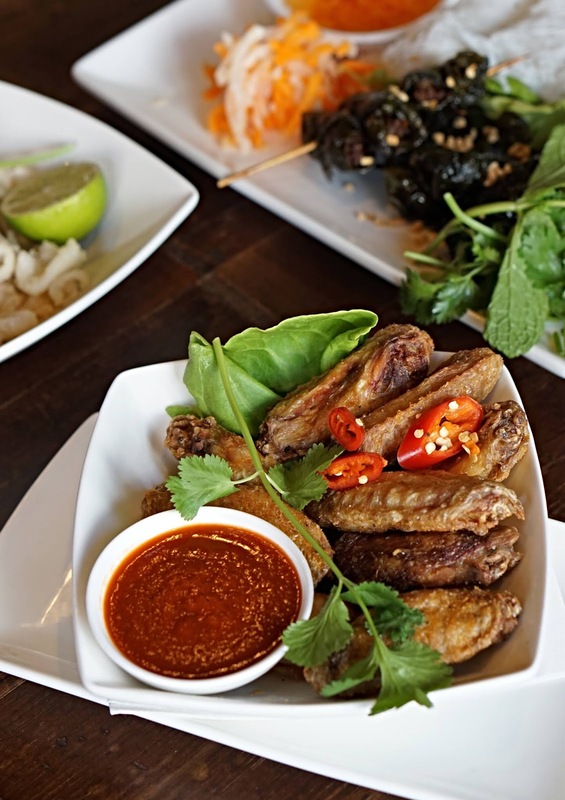 We also tried the squid and the chicken wings, not because we ate either of these in Vietnam, but they sounded so delish. The chicken wings in particular were insanely good! And for the main event. As ever, we ordered a few bits to share - no food envy here! First up, the Pho. In Vietnam beef Pho (phở bò) seemed to be far more common than Chicken (phở gà), so we went for the steak and brisket Pho (phở tái chín) and I can report it was totally delicious! As in Vietnam, we were served the broth with a side plate of fresh herbs which we added to our taste - the mint and coriander are a must for me. You can also add fresh chillis or chilli sauce for spice, as well as fish sauce for saltiness or garlic vinegar for sour. I would really recommend playing around with all the accompaniments; people in Vietnam rarely eat it as it comes - experiment! Fun fact: when ordering phở gà in Hanoi, foreigners are usually given the breast meat. Fine by me! The locals, however, would see this as the poor quality meat - they want the flavoursome, tasty cuts... and all the odd bits. Feet, gizzards, the lot. 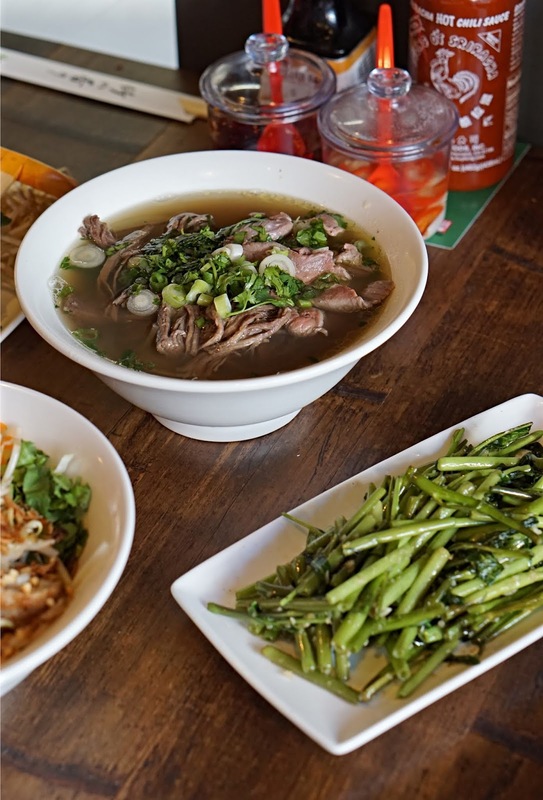 Check out Tu's instagram for an insight into Hanoi's best street food. We also tried pork bún chả - a real favourite of ours. The pork meatballs were absolutely perfect, and again we loved being transported back to Hanoi. I even remember the first time we tried bún chả! We were in Cuisine Viet Restaurant in Hanoi and the waiter showed us how to dip our noodles in to the nước chấm for the perfect bún experience! 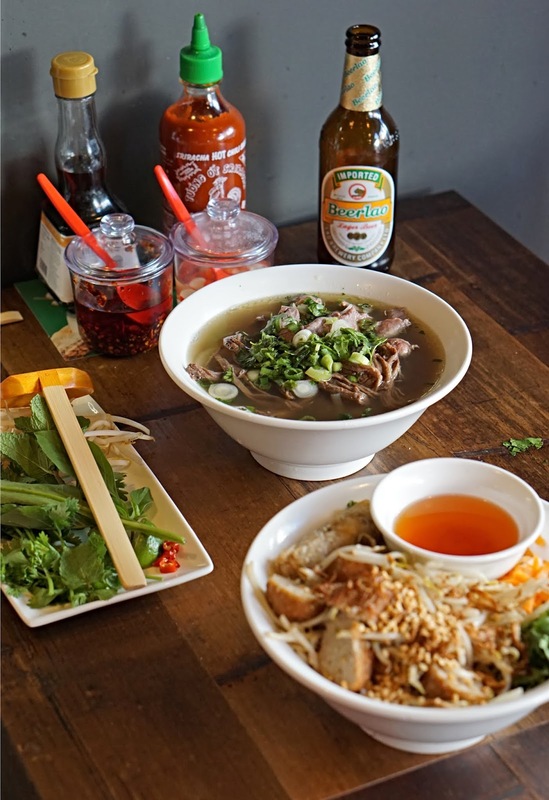 There is so much involved with eating Vietnamese food, it's always great to ask someone for the insider info. And finally, for old times' sake we ordered a side of morning glory; a super delicious water spinach stir fried in garlic that we ate so much in SE Asia we eventually became immune to the lolz name. But perhaps the most nostalgic moment? The beer. 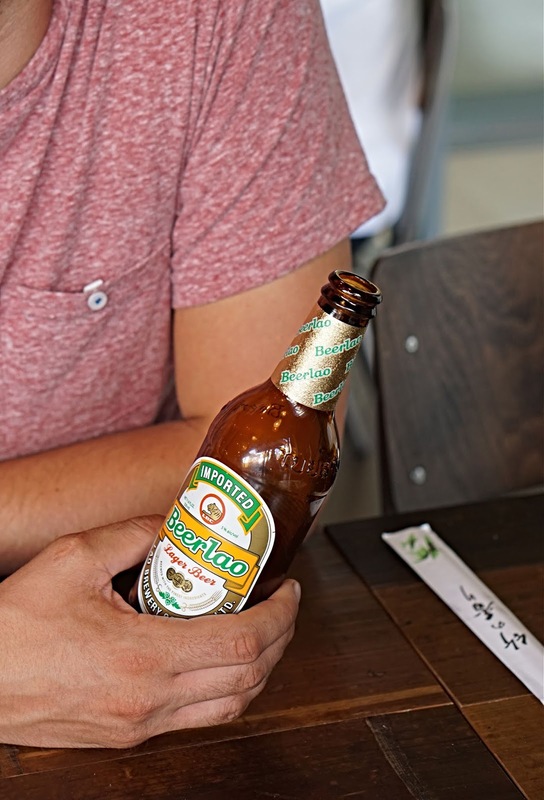 Rich managed to clock up an impressive 26 different varieties during his six month taste test of SE Asian beers, and the Vietnamese beers were some of the best. Bia Hà Nội, Saigon and Beer Lao transported us right back there, and my cà phê sữa đá was the cherry on top of the cake. 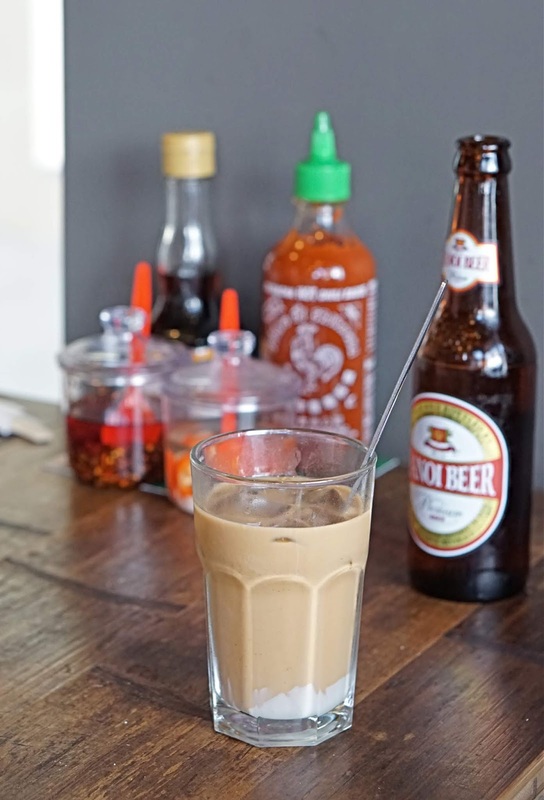 Yup, there's nothing quite like an iced coffee with condensed milk on a hot day! Dreamy. 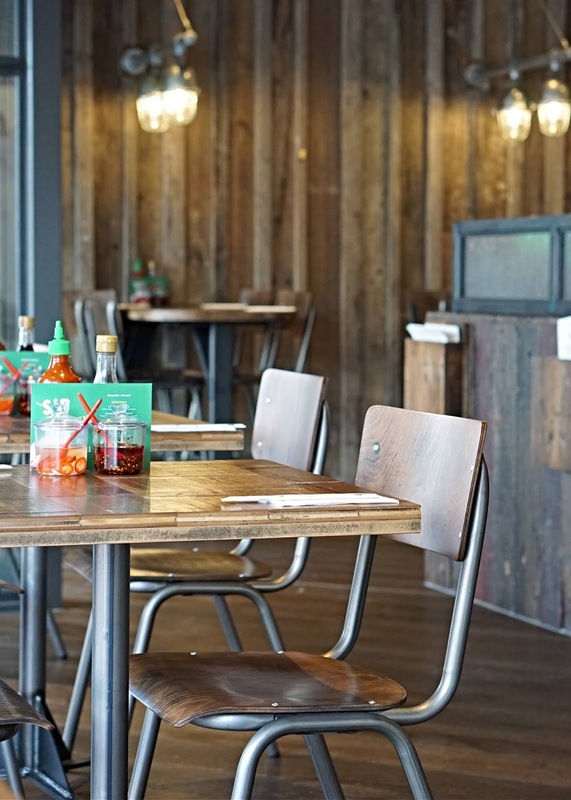 We're so pleased to see Pho open in Guildford, and can see us coming back here again and again. 21 Tunsgate, Guildford, GU1 3HE. Thank you to Pho for inviting me to review their new restaurant. All views my own.